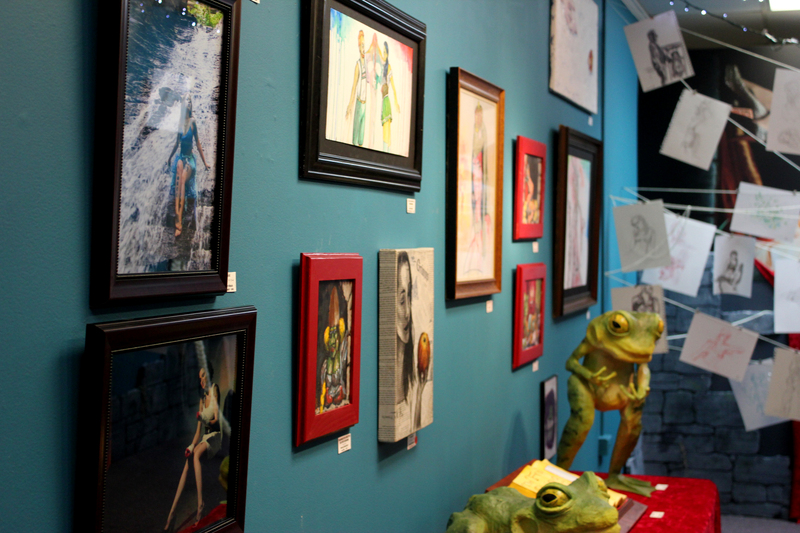 Friday, January 9th, was the opening reception of the Dr. Sketchy’s Grimm’s Fairy Tale Art Show. I’ve been a part of Dr. Sketchy’s Akron for the past couple years. I did a small post on it about a year and a half ago. For those of you who don’t know, Dr. Sketchy’s is a life drawing group that meets once a month. The models dress up in creative costumes and the artists drink, draw, compete, and have fun. 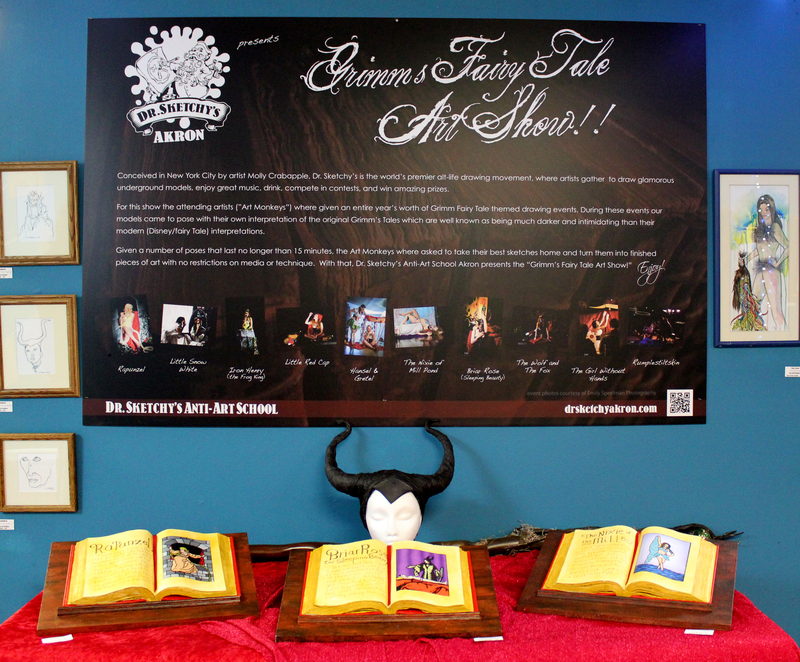 For 2014, Bill “The Dr.” Lynn decided to do a Grimm’s Fairy Tale theme. Over the course of the year, we drew characters from Rapunzel, Iron Henry, Hansel & Gretel, Rumpelstiltskin, etc. At the end of the 12 months, we were supposed to create something from those sketches and The Dr. compiled them all to create the show that you see here. I have two pieces in the show. In the photos below, you can see one near the frog’s foot, and the other is in the second photo at the very top. Currently, the show is at Studio 2091 Mothersbaugh-Roos in Cuyahoga Falls. In February, it will be at Nine Muses Art Gallery in Barberton. I hope you all enjoy viewing the work. Definitely check it out in person if you get a chance. I know a lot of the pieces are up for sale.